As you know we started the Darknet Commenter of the Month Competition on June 1st 2007 and it’s been running since then! 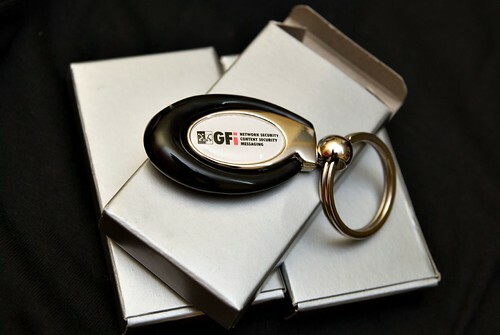 We have just finished the twelfth month of the competition in May and are now in the thirteenth, starting a few days ago on June 1st – Sponsored by GFI. So announcing the winner for May…it’s Bogwitch! He’s been one of our best long terms commenter’s and has been with us since before the contest in the early days of Darknet. I’m glad he won as his comments have been consistently of high quality and often entertaining too. Comments for June have been quite low so far, so it might be an easy win for someone again this month :) I didn’t manage to grab the site on the day before the month turned…so I just spend a while coming up with an SQL query to grab the counts from the database for the month of May. Jinesh Doshi was pretty close behind in second place. There were some good discussions in May and I hope to see them continue in June! I’d like to thank you all for your participation! I hope it keeps getting better as 2008 develops with more interesting news and tools. Keep up the excellent discussions, it’s very interesting reading especially on some of the more controversial topics. Keep commenting guys, and stand to win a prize for the month of June! 13 Responses to May Commenter of the Month Competition Winner! A bit off topic but is there a way to recommend posts to darknet? Like tools or news that hasnt been mentioned which we think would be a good discussion point? the BMX guy: Ah that’s neat thanks, can select by month – the one I’m using once it rolls to the 1st of the next month the stats are gone. razta: Yah just drop us a mail using the Contact Darknet form. We quite often get readers giving us a heads-up, especially from authors of tools. Please search before submitting though to make sure it hasn’t been covered. Thanks for the congrats, everyone, and thanks for the kind words, Darknet. I’m sorry please don’t count this as a comment, no really don’t, but I just wanted to know, do U have any idea why noone has been able to maintain the best commentator title for 2 consecutive months?? Not even someone like pantagruel or eM3rc!! Bogwitch: Tried to mail you at the e-mail address you use for comments, but it’s getting returned – if you want the prizes drop me a working e-mail via the contact form. I havesent you a message via the contact page but I have no email from you – did you get it? Bogwitch: Yah, I sent you an e-mail to the address you provided. I’ll try again as it might not have sent properly. Congrats Bogwitch! Your gifts are on the way! It is good to see a company with the credentials of GFI supporting a site that is seen by many (primarily web filtering companies!) as a hacking site and a ‘dark’ place to be.